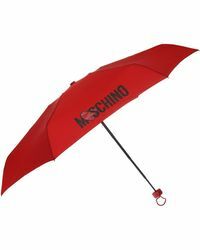 Created by Italian designer Franco Moschino in 1983, the iconic design house has become globally recognised for its playful and humorous designs. 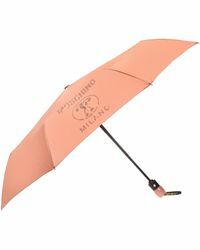 A go-to brand for a tongue-in-cheek style, the brand speaks through its statement designs, with slogans such as 'Good Taste Doesn't Exist'. 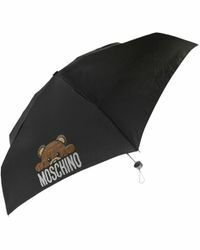 The brand has launched several diffusion lines as well as showcasing its main line collections at Milan Fashion Week. 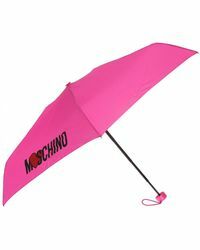 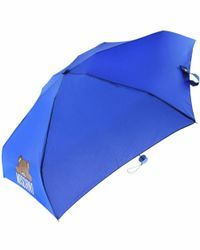 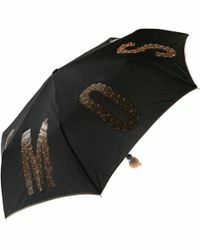 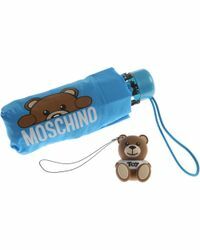 Give rainy days a playful fashion edge with Moschino's range of umbrellas. 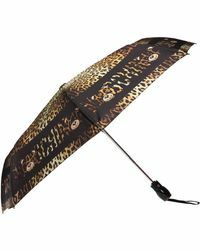 Signature brand finishes include hearts, polka dots and gold chains, with a zebra-print and polka-dot style finished with a humorous slogan typical of the brand, 'I wish I wore spots'.